Since 2014, sandcastles have been the closest thing to new residential construction anywhere along Clearwater Beach. That dwelling drought has finally ended with the recent groundbreaking - or should that be sand shifting - to make way for Pura Vida Residences. These 22 three-bedroom, three-and-a-half-bathroom living spaces located along the waterfront are expected to begin welcoming residents by late 2019. Not only will this project add a new, high-end, high-rise to the area, it will also afford its occupants bragging rights to living on the most acclaimed beach in the U.S. The eight-floor beachfront community will offer stunning views of both its entryway span of sand and the sparkling Gulf of Mexico waters. Units feature an ample amount of space that ranges from 2,000 to 3,000 square feet. Perched along the northern end of Clearwater Beach, the development will be within walking distance of Pier 60 as well as nearby retailers and restaurants. Amenities include a resort-style pool, on-site fitness facility, air-conditioned storage areas, covered parking and condos fully wired with Smart Home Residence Technology. Avalon Land Holdings LLC, the project developer, previously completed office and residential projects in the UK as well as throughout the Tampa Bay area. 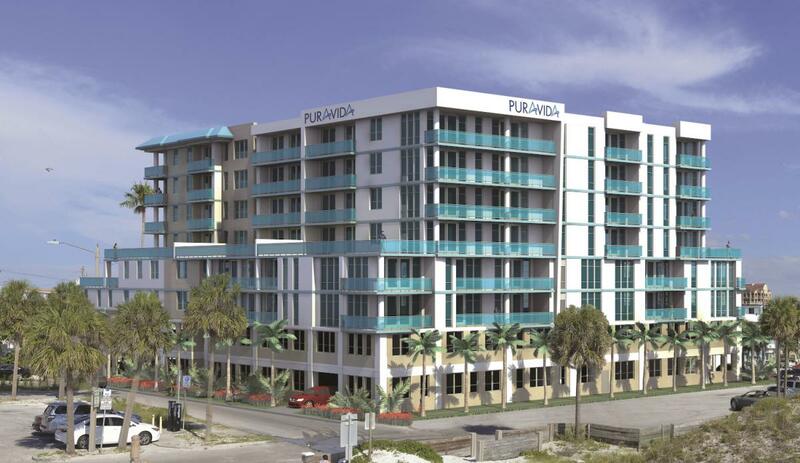 Want to know about other up-and-coming real estate projects in Tampa Bay? Simply register at 727area. It's easy and free! Image provided by Coastal Properties Group International.